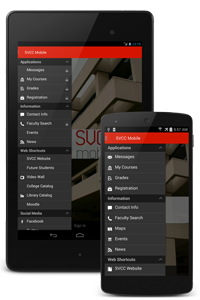 SVCC Mobile allows you to access your schedule, grades, directory information, maps, the SVCC Catalog and more! Many features are available without a login, but you can log in with your SOAR User ID and PIN to view your personalized information such as grades, schedule, and messages. 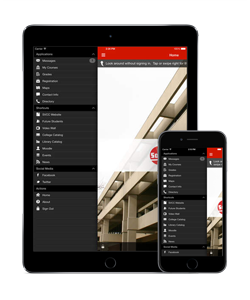 We welcome feedback, suggestions, questions, and error reports at mobile.app@svcc.edu.